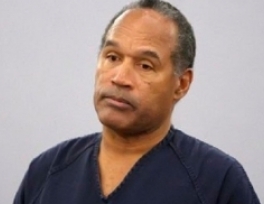 Locked up in a Nevada prison since 2008 and denied a recent appeal, O.J. Simpson has turned to religion and is embracing Islam with plans to become a Muslim. 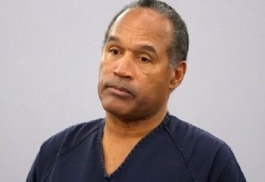 The National ENQUIRER reports that Simpson, 67, became interested in the religion through fellow inmates and was even put in touch with former pro boxer Mike Tyson, who is devout Muslim. “O.J. really thought that he was going to be successful in a bid for a new trial and eventually be released from prison,” an insider told The ENQUIRER. The disgraced 67-year-old star has become interested in the religion through his friendship with former world heavyweight boxing champion Mike Tyson, who was imprisoned in the early 1990s and is a devout Muslim. Simpson has been studying the Koran but failed to successfully fast during the holy month of Ramadan. An inside said: ''O.J. didn't quite make it through the entire fasting process. Reverts: Don't Turn Away; Keep Your Faith Strong!